Will all knowledge eventually be united? And what does that even mean, anyway? 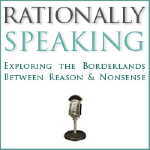 In this episode of Rationally Speaking, Massimo and Julia explore the topic of consilience, or the "unity of knowledge," a concept popularized by biologist and theorizer E. O. Wilson. Along the way they discuss whether all phenomena can be explained in terms of physics, the importance of precise language, and the seductive dangers of the "deepity." Good episode, although I'm confused about Massimo's casual dismissal of objective knowledge/truth -- especially after dismissing "strong" postmodernism a few minutes earlier, which seems to be saying the same thing. So, a question for Massimo and other philosophical nitpickers and radical social constructivists: is the Earth round? To our senses and our experience, it's "obvious" that the Earth is flat. Through mathematics and the scientific method, and later through direct observation from space, we now know that the Earth is an oblate spheroid. In other words, it's an objective fact about the universe discovered by mere human brains, but it is independent of human brains, as well as culture, environment, socio-economic status, race, etc. If no humans existed, the Earth would still be round. The shape of the earth is a fascinating topic. To an observer with relatively local data, it is flat. To an observer with a macro view of the data, it's somewhat of a ball, To an observer working both in and out of space-time manifestations, (what we call 'matter)', it is at a minimum a single flat membrane. To observers of only the information transmitted from earth to mind, seeing as how we like to use flat screen monitors and flat maps, etc, the earth is indeed flat, except in a minority of cases when it is useful to consider it as a ball, and render it so. To the extent that knowledge and fashion are closely related, I vote that 'flat Earth' will be back at some point in the future, at such time when there is no utility in considering it a sphere. The idea is that postmodernism / relativism is indeed silly, but that universal truths aren't the stuff of science either, because other than in trivial cases, scientific theories are always open to refinement and possibly even rejection. Re your last paragraph. Whilst perhaps true regarding induction (generally construed), most logicians (myself included) hold that that we should reason according to the accepted inferential norms of deduction is far more certain than the conclusion of any argument to the contrary, especially considering that any such argument itself must employ some standard modes of deductive inference-- modus ponendo ponens & modus tollendo tollens, notably-- in order to establish its conclusion. Allow me to add that the antinomies identified in naive set theory by Russell (& others) in the early 20th century, and Godel's incompleteness theorems, are detrimental to certain philosophical views on the foundations of mathematics that sought to axiomatize, viz., Hilbert's formalism and Frege, Russell, & Whitehead's logicism, not on the apodeictic certainty of mathematical and logical reasoning per se. Take, e.g., the natural deduction (pace Gerhard Gentzen) in general and intuitionistic / constructivist views of mathematics & logics (pace LEJ Brouwer, Arend Heyting, & Andrey Kolmogorov). Intuitionism, e.g., holds that mathematics & logics do not require a firmer foundation-- indeed, any such proposed foundation would itself be on far shakier ground. All life forms including humans reason for predominantly predictive purposes. Deductive logic is not primarily predictive. So why should we, as you advise, prefer deductive reasoning to address our predominately predictive needs? First, what, exactly, do you mean by "humans reason for predominantly predictive purposes"? Second, it is not a matter of preferring deductive logic, rather it is that deductive logics are indispensable for making any inferential move whatsoever. That is, any reasoning, scientific or mundane, must, and indeed does, presume some underlying deductive inferential framework. Take, e.g., standard Bayesian inductive logics. They are themselves founded upon a deductive framework: classical logic. As another example, take the reasoning you employed in deriving the conclusion of your comment (i.e., the clause after 'So'). The human brain does the bulk of its reasoning subconsciously, and it's for the purpose of assessing stimuli and using inferences gained to make the most preferable choices. Choices based on predicting the chances of success from relating the present experiences to the more successful past. The brain in short is predicting future probability from past probability. Not from past certainty as brains did not evolve to determine certainty. You may argue otherwise, but I'd argue that choices made to determine certainty were killers. In any case, if I'm correct, none of these strategic moves were based on a search for certainty, and deductive logic is used by our subconscious instead to limit uncertainty in our premises. The inductive does have premises, no? If it's your argument that the selection of premises takes primary importance, you might be correct, but without inductive inferences to follow, it means nothing. You boys can quibble about Hume and his problem with inductive inference all day, but as uncertain as it's said to be, it works for us. Human reasoning goes from the somewhat known to the lesser known expecting to improve our knowledge by reducing our ignorance. Deductive wouldn't work if that were to be its goal. We make our best educated guesses from a limited set of uncertain options. Thats not a deductive process. Your next argument may be that we then use deductive logic consciously to make an executive decision in the end. No, we don't, but even if we did, it wouldn't be there at all without the inductive processes it evolved to advise. Thank you for clarifying your statement. I should say that I don't care about Hume's problem of induction (I really don't) and I am not concerned with how brains in fact analyze data and make inferences & formulate beliefs therefrom. My claim is simple: inferences (whether conscious or subconscious, probabilistic or not), if they are to be valid, must conform to accepted deductive norms (modus ponens, modus tollens, disjunctive syllogism, etc.). This is why any inductive logic (indeed, probability theory itself) is predicated upon a deductive foundation. Yes, but that's a distinction with a little difference from your earlier one. We have to use both forms of logic to make either work in any case. And my guess is that the deductive logic perfected by the Greeks was predicated on an inductive foundation. Even those amazing Greeks' subconscious can't be dismissed as easily as you might like. But seriously, life forms must have developed by inductive processes. How would they learn to fashion deductive premises deductively? Deductive logic concerns itself with the forms of arguments, or in other words the abstract inferential relationships between forms of arguments. I don't see how this is predicated on any inductive foundation. Arguments were formed by humans based on the same strategies used by their forbears. Logical rules of inference were developed by use of our neomammalian or rational brains, after we developed language and forms of written communication. We developed formal methods for predicting future events - and predicting consequences that depended on our choices of behaviors. From the particular to the general, however, required less abstraction than from the general to the particular. But the Greeks lived in a time when the discoveries in mathematics had opened up the possibility of determining more certain knowledge. Deductive logic was then supposed to accomplish that expected purpose. It didn't. Modern Science was subsequently developed based on induction and abduction. Philosophy that continued to rely more on deduction has foundered. Deductive systems don't effectively ask why. Inductive systems with deductive premises can ask, but tend to get it wrong. OK, I was on a roll. At least I didn't bring in the Egyptians. Or the Persians. I would distinguish first between the strategies we use, whether from intuition or accumulated perception, and the moment of awareness itself as a neurological process. We might think about many things by intuition / perception, but always from a process in which the present moment of that awareness is created by a neuronal cyle and sufficiency in the brain for the event of awareness itself. The way the brain works may to take inputs into sensory cortices, for immediate past detections of events and our own moves. That can only be the past. It then splits them for wide integration and intensifies them in premotor cortices for an immediate future event, our response by an output. The future. In the process, we are always in a moment of processing that is a transition between the immediate past as identified from inputs, and the immediate furture as anticipated for ouputs. The sensory to premotor would be one process of synthesis of the present moment, with both those features in thoughts and feelings in our ongoing momentum. Thanks Massimo -- I'll check that one out. Since I think that there are many examples of objective, non-trivial, permanent, counterintuitive truths discovered by science (eg, my example of the shape of the earth), I'm interested in understanding the philosophical critique. If induction and deduction don't lead us to scientific truths, how can we explain their existence? the point is that you *think* we have good examples of certain knowledge, but that there are no logically airtight ways to prove that to be the case. Nobody should be bothered in practice by these things, as we proceed *as if*, say, Hume's problem of induction didn't exist. But it does, and it ought to at the least suggest some intellectual humility. So, you are an scientific anti-realist? If so, welcome to the minority club! For myself, I take scientific theories not to be concerned with truth or falsehood, but rather with empirical or instrumental adequacy. That is to say, one scientific theory is better than another to the extent that it is more fruitful in suggesting explanatory hypotheses and in the formulation of further scientific laws. Hah. Tell that to Aristotle. I don't think I disagree with anything in your last three comments. But no, I'm not (yet?) an anti-realist. Like Giere, I think that as some level scientific theories have something to do with truth. And yes, logic works well, particularly the deductive variety, in practice. But as you noted I was referring to foundational issues, where intuitionism doesn't seem to me to help very much. It sounds more like a way to label the impossibility to have foundational solutions. Which is fine by me, I have actually come to like the idea that knowledge is more like a web with threads than like an edifice built on foundations. I find it liberating. I too find foundationalist endeavors in epistemology and the foundations of mathematics uncongenial, and though I don't entirely buy into Quinean coherentism, I am sympathetic to its essential thesis. On a similar note, if you have not already, you should check out Hasok Chang's work. His idea of epistemic iteration (which I have mentioned on the blog previously) fits (what I sincerely take to be) your nascent anti-realist sympathies. In the introduction to your podcast, Julia gives a brief overview of Wilson's idea of Consilience. It sounds very much like Wilson is offering a TOE (theory of everything). Also, later in the show it seems Massimo claims this outright. I've been going back and forth on Wilson's idea ever since I read Brian Siano's review of Consilience in Skeptic 14 years ago (time flies) [1998, Vol. 6, Issue 1 - also available in full on EBSCOhost]. It is still the best review I've read and just skimmed it again before listening to your podcast. At this time I have no interest in reading the book again. I agree with much of the criticism you both offer. I found it a very nice conversation. My soft spot for consilience basically comes down to loosening the grip of domain specificity. Bridging the domains where possible seems an obviously useful exercise. Naive perhaps, but at least I'm not making an unjustifiable claim. Throughout your conversation it appears to me that several times ideas of consilience ring correct and seems clear the topic is dissected to a degree that I'm convinced you both had a handle on it, including it's ambiguity. Following my above comments, what am I missing to think that your introductory claim of Wilson offering a TOE (or a path to) is wrong? It appears to be unjustified. Also, have you any critiques of the Enlightenment? Perhaps Massimo can post the quotes from the book to answer the above as he seems to suggest? Regarding reductionism. I like this bit from Siano's review. P.S. I apologize, but I had to delete my previous post. I think it gets pretty much everything right about what Wilson gets wrong. Re: reductionism. Wilson wants to play it both ways, seems to me. Nobody disagrees that reductionism has been useful to science, as a method. But he is making metaphysical / epistemological statements in the book that go way beyond a pragmatic approach to science. Morevoer, some sciences, especially recently, are not reductionist at all (e.g., systems biology). Re: the Enlightenment. If you notice, this blog's tagline is from Condorcet, so I do like the Enlightenment as an ideal. But much work in philosophy of science and epistemology has shown pretty decisively, I think, that that's what it was, an unreachable ideal of perfect reason. I will definitely check out Allen's review (a quick skim seems to reveal arguments I've seen you make on "philosophical naiveté"). As to your last point. I'm not convinced this is a trivial effort to make, besides he seems to me the right person to make such an effort (at least at the time of publication). I'm not a scientist nor a philosopher. One of my first introductions to the problems of domain specificity was in Shermer's book, Why People Believe Weird Things. Even though he uses a single example, that of marine biologist Barry Fell, it was an eye opening examination. I see consilience as a process more than a fundamental statement of how things should be. Since those days in 1998 (both Shermer's and Wilson's book's were published in 98) there's been many times where I am more aware that someone was making a vast overreach primarily due to lack of proficiency in the field outside of their own to which they decided to dive into making unjustified or exaggerated claims. This may be a simplified version of consilience I admit. Though, the arguments as I recall them fall reasonably within the bounds of someone explaining how their field of expertise (and his own theories) can be used as an example. I would like to indulge my argument a little further. I decided to fact check the reference I made to Shermer. I would like to add his concluding remarks on his cautionary tail and attempt to relate them to more current events. I admit the above quote is not a perfect fit to my follow up (and is incomplete - but forgive this since Michael was in fact condensing his argument as part of a series of related arguments), but it does perhaps pose an interesting insight to recent debates you've had with a scientist via blogs primarily. The debates I refer to have as their primary objections the boundaries of disciplines. The scientist I refer to has offered telling signs of what Shermer highlights. First, the disagreement is portrayed as a personal dislike of the scientist. Second, the arguments by you (and others) were increasingly greeted with a hand waving commentary of "protecting ones turf" (domain arrogance). Before and after the above methods of argument were employed, a greater personal vilification followed. The above is perhaps a predictive outcome due largely to over reliance of domain specific expertise giving rise to over confident ventures into other domains. The above is not in contrast to my simple idea of "bridging", only an attempt to illustrate the possible educational value of highlighting potential pitfalls of limiting oneself to domain specificity and binding domains to tightly when the obvious gains to cross domain communication, education and implementation of programs seem readily available. I miss the good stuff on this blog. Looking forward to digesting the podcast. Right now digesting Mark Leyner's "The Sugar-Frosted Nutsack", an extremely serious, yet extremely funny argument for polytheism, that I think Julia might enjoy given her penchant for Hollywood. Also, I think I went to school with this Yudkowsky character's father. Ask him if he is related to Michael from North side Chicago. Neither do I, but as I said, I think his image of a web of knowledge makes more sense than any foundationalism. I am familiar with his "Inventing Temperature." Would you suggest something else specifically? sounds to me like Shermer is exactly on target there. Again, very few people would argue against the benefit of inter-disciplinary research and cross-fertilization, whenever appropriate and fruitful. But Wilson is after something much bigger than that, as made clear by the subtitle of his book: the unity of knowledge. I see your point with the subtitle of Wilson's book. Given what you say above, it instantly brought to mind Shermer at the 2007 Beyond Belief conference defending Christopher Hitchens against David S. Wilson's using the subtitle of Hitchens' book, God Is Not Great: How Religion Poisons Everything, to place him under attack. David did it several times, using the subtitle as a "ah ha, I got you". Basically, Michael reminded David that this line of attack is useless, that subtitles of books like Hitchens' are in no way a basis for an argument that the content is wrong. Shermer of course already had spoken highly of Hitchens' book and also of David's work in general. In fact, I meant David here in Albany and he told me how much he and Michael have in common on certain views. So, in fairness, Michael didn't have a horse in the race, he is an equal opportunity skeptic. Perhaps another cautionary tail from Shermer. Inventing Temperature: Measurement and Scientific Progress is what I had in mind. You may also want to review his Is Water H2O? Evidence, Pluralism and Realism. Re: Hume's problem of induction. Please allow me to clarify Shermer's point a bit further. I may have short shrifted his argument and how I am relating it to your use of the "subtitle argument" (just using short hand there). It's not only about a wrong direction to place the content under attack (near misdirecting from content), but also there can be an exaggerated element to subtitles that one may mistaken for how they perceive the subtitle and content. In David's case from my last post, grouping his attack on Hitchens' subtitle with with that of a larger argument against certain research into religion. In effect, David was using a form of confirmation bias. David in a way placed himself in a dynamic he should be clearly aware of - group. They are the "out-group" taking an approach to religion which is misguided at best, and he's the "in-group" taking an approach that happens to gel well with his theories. yes, we could fill the blog with discussions of Hume's problem, but let me point out that having rational reasons isn't the same as having logical reasons, a point that Hume understood perfectly well, as you know. I'm going to take exception to your treatment of D.S. Wilson, and particularly to the implied analogy with my comment above. First, I know David, and I'm pretty sure he wasn't basing his *argument* on Hitchen's subtitle, but simply pointing out that it reflected the content of the book (which it does). Second, I assure you that I've read Wilson's book, and the subtitle does reflect perfectly his declared intent. Yes, I agree. Which is why I said 'demonstrably rational' rather 'logically tight reasons'. As an aside, I read Hume's text as not revealing a skeptic of inductive (and of course causal) reasoning but rather as a skeptic of the then in vogue philosophical musings of philosophers and natural philosophers (e.g. the Cambridge Platonists, René Descartes, Pierre-Simon Laplace, Isaac Newton, Gottfried Leibniz, etc.) on the nature of causation & the ability of science to provide indubitable knowledge. Hume sought to re-construe causation & inductive reasoning on proper empiricist grounds (notice his mention of "mystical forces" in both the Treatise and Enquiry when discussion causation, e.g.). As an example of what I'm actually referring to - take a look at the below video of D.S. Wilson at the 2007 Beyond Belief conference. YouTube - D.S. Wilson at Beyond Belief 2007 - Start video at 7:20 mins. it isn't a matter of how I feel. Your point seems to be - correct me if I'm wrong - that I am misjudging Wilson's objective. I have read the book and made an argument based on my reading (and of other people's reviews, sharing my understanding of Wilson's project). You are trying to make an argument based on an analogy to what another speaker said about another book. Not sure how that's going to work. PS listening to Consilience, Reasoning & TOE Podcasts, I must say reasoning is a perfect process but sufficient reason is a rod for your back to choose or not in reasoning (an open issue). Reasoning is perfect in eliminating inductive proposals by deductive logic, we propose From observation using any reasoning (eg probability), and apply logic To observation to confirm any reasoning (always strictly). It's good old Sherlock Holmes, elminating the impossibilities. No need to grab at perfect knowledge, it doesn't exist, it is a quest always open to refinement. However, sufficient reason and my old friend Leibniz v the pragmatism of Hume & Popper comes down to faith, which I never deny, and which I like if its constructive. Reasoning relies on a foundation of belief in strictly framed hypotheses, and spiritual beliefs lack the certainty to be anything but a motivator. Ineffective. However, Aetheism is irrational if one believes to get knowledge, as others may purport to believe in a God that is unknowable (for whatever private reasons we may never know). Why believe anything about something that another purports to be unknowable (openly, or when cornered by logic)? If we believe to get knowledge, move on, fast, don't waste time. Logically one can safely ignore God rather than deny God if one believes to get knowledge, and I take that approach. I say "I have absolutely no idea what you are talking about". I also do not like to stomp on belief, the universal driver of the individual. It lacks Parsimony. Leibniz was Godly, and thus went too far by proclaiming, rather than suggesting the possibility of, sufficient reason. Let me "suggest" it on his behalf as a principle relevant to the arrangement of nature's laws. Once again Massimo seems to be asserting that the theory of evolution can be counted as a 'fundamental theory' for all of biology, and that this accords it some special status not shared by e.g. psychology or sociology. This is patently not the case. 99.9% of biology research is concerned with constructs and questions that are completely orthogonal to evolutionary considerations.